One of CSUB’s key strategic goals is to hire and develop an excellent and diverse faculty and staff. As a result, we have an outstanding group of faculty, staff and administrators who work diligently for the sake of our students day in and day out. Collectively, they all know this: when CSUB students succeed, the entire Kern County community does as well. If you are interested in joining this esteemed group of colleagues, you have come to the right place. 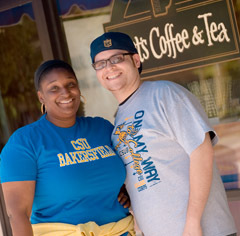 Please click on the links to the left to find out more about opportunities for employment at CSUB.